Usuzukuri is a type of sashimi sushi where white fish is sliced very thinly and served artfully arranged across a serving platter. 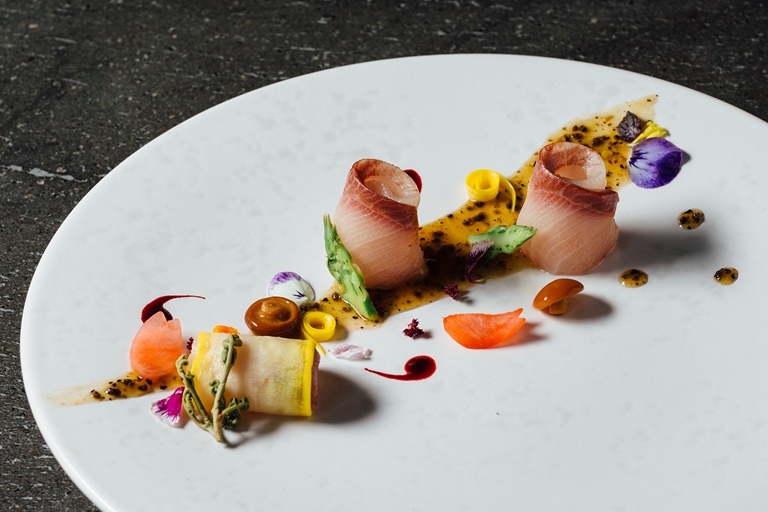 Hideki Hiwatashi adds a luxurious touch to his sashimi recipe with the addition of truffle ponzu, pickled courgette and dashes of vibrant beetroot sauce. As with carpaccio, the slices of fish should be thin enough to appear translucent – use as sharp a knife as possible and take care when cutting the fish.